Many people cite Chosen By God not only as their introduction to R.C. 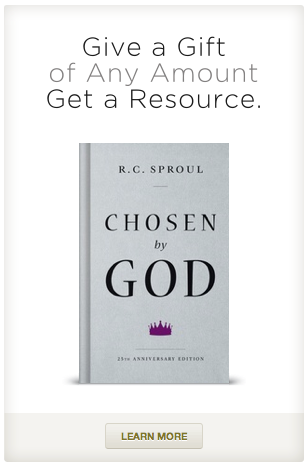 Sproul’s teaching, but also as the resource that profoundly shifted their attention to an understanding of the predestining grace of God. This year we celebrate the 25th Anniversary of the printing of this important book. Today only you can get this special anniversary limited-edition hardcover book for a donation of any amount. Offer valid through October 18th. Donate Now.